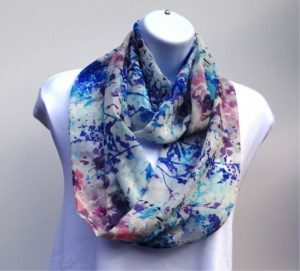 This lightweight infinity scarf is a good choice for your summer wardrobe because of the soft mix of blues and pinks. 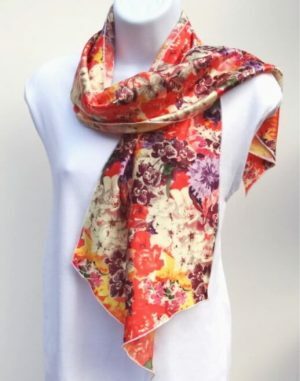 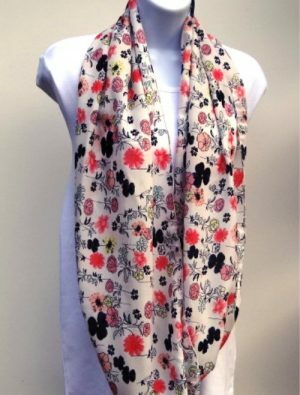 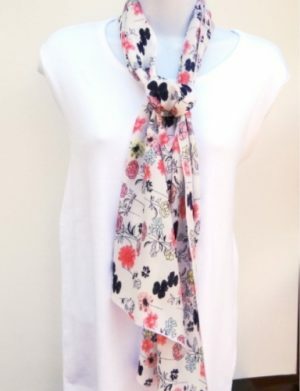 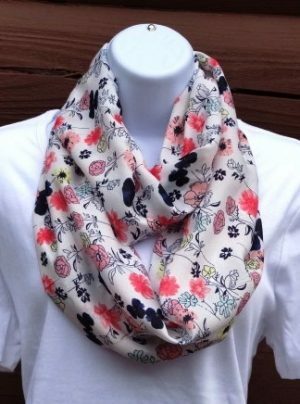 Summer infinity scarf floral print on white background. 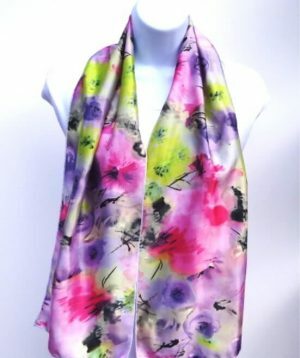 This would be a very pretty satin scarf to wear for Easter. 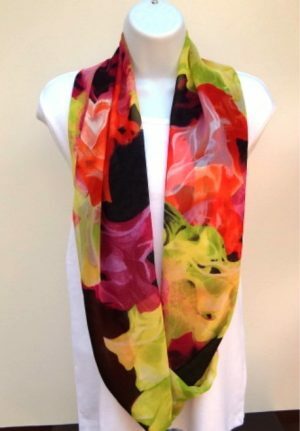 get you ready for spring. 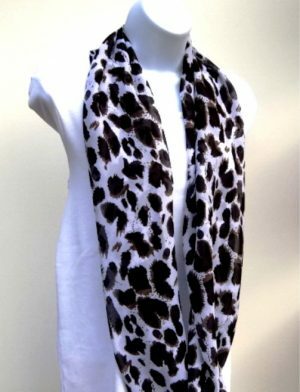 Look sharp in this black and white (animal print) scarf. 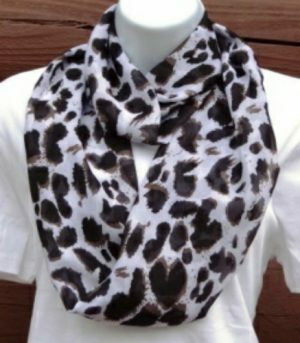 This infinity scarf was hand crafted in USA. 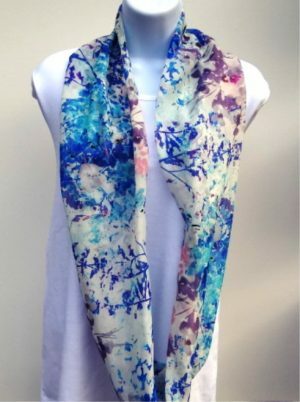 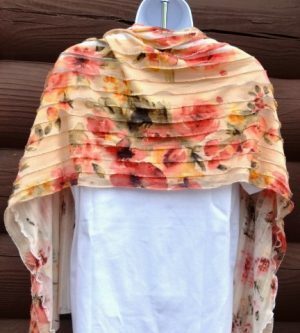 This pretty, ruffled hand-made scarf is the perfect addition for your spring and summer wardrobe. 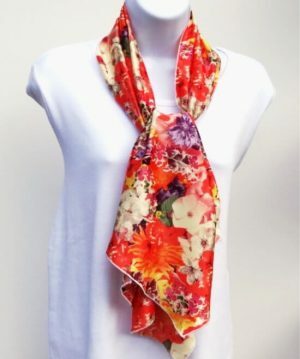 You will love the soft feel on your neck when you wear this scarf. 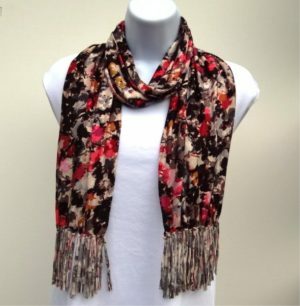 This beautiful scarf was made from a knit jersey material which makes it a good choice for casual wear. 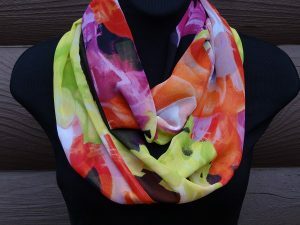 Lift up your spirits with this pretty satin colorful scarf. 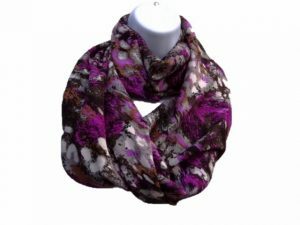 Who says you can only wear heavy scarfs in the winter??? 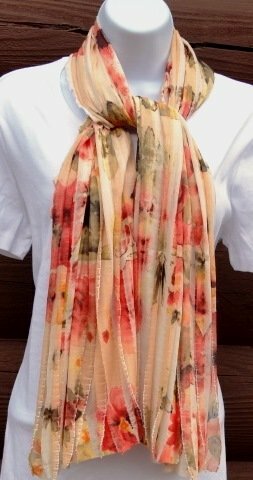 Lightweight scarves are great for year round wear.